Americas Best Value Inn Paris offers the most value for your money when staying for business- pleasure- or just passing through. We offer clean spacious rooms- free coffee in lobby- free deluxe continental breakfast- and Wi-Fi throughout the hotel. All guest rooms include microwaves- mini-fridges- coffeemakers- hairdryer- iron- ironing board- 32 inch flat panel cable TV- and HBO. We also have an on-site restaurant- Megel*s Grill- serving American/Mexican cuisine. Take advantage of our extremely comfortable beds and relax while saving money year-round with our Kids Stay Free Policy *12 and under in parent*s room*. For those guests that are in town on longer term corporate assignments or business trips we also offer special weekly and monthly rates- as well as direct billing options. For your convenience our hotel offers both smoking and non-smoking rooms. Pets are welcome- restrictions and charges apply. We are centrally located less than 3 miles from Downtown Paris- Red River Valley Fairgrounds- and the Trail de Paris. We are located off of US-82. Americas Best Value Inn Paris is your best choice within the *Second Largest Paris in The World. * We offer ideal accommodations and location whether you are in town for sightseeing- recreational activities- or simply passing through on your way to Dallas. At Americas Best Value Inn Paris our goal is to provide our guests a great experience- not just a place to stay. At Americas Best Value Inn Paris- We*ve Got You Covered from the time you hit the road until your head hits the pillow. 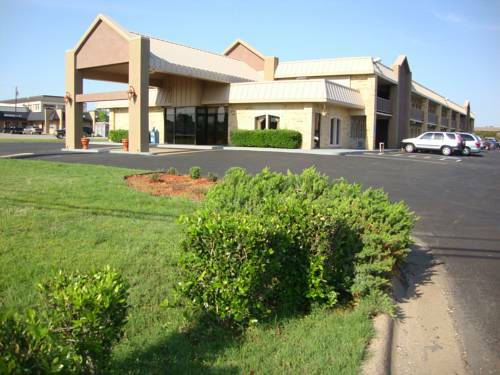 Americas Best Value Inn Paris is conveniently located off of US-82. Our hotel offers easy access to downtown Paris and several shopping areas for our guests to experience. Our address is 3755 NE Loop 286- Paris- TX 75460. Hugo is known as Circus City USA, and this diner is decorated with circus memorabilia. Mesmerizing immense bust pays tribute to a devout Texas chicken baron Bo Pilgrim, who employed this town with his poultry business.